At about 6:00 am on the morning of the 11th December 2005, the Oil Refinery at Buncefield, Hemel Hempstead blew up. It was the biggest peacetime explosion in Europe. It woke me up and I live 15 miles away. It was heard across the Channel in France. As luck (?!) 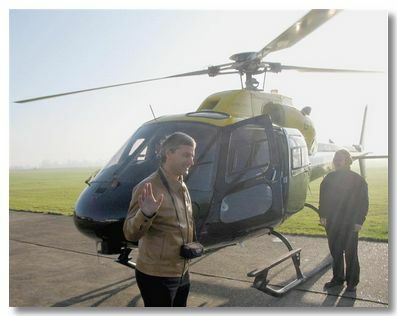 would have it, Ann & I had arranged a Helicopter trip over Central London for noon on the same day. It was a bright sunny day - except for the smoke cloud rapidly covering London. This photo shows the origin of the plume of smoke, 25 miles away. 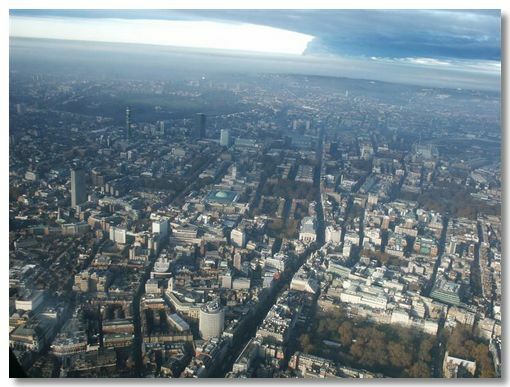 The parts of London in shadow in this & the other photos are solely due to this smoke cloud. 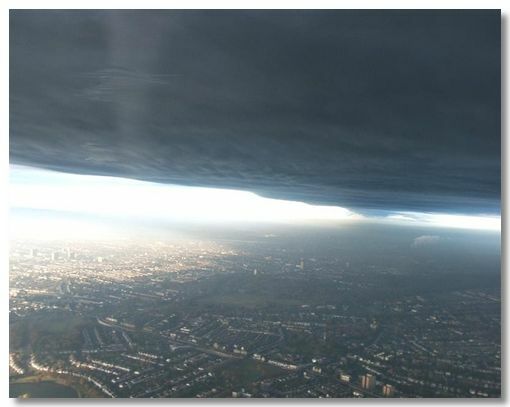 Very reminiscent of the film Independence Day. Another photo showing the origin of the smoke on the horizon. The sharp-eyed may spot the British Museum in the centre of the photo with the green dome covering the Great Court. 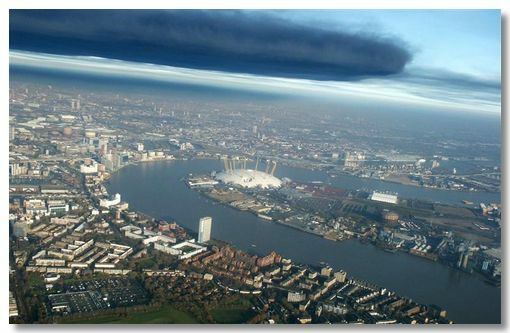 This is the leading edge of the smoke cloud over the Millennium Dome. 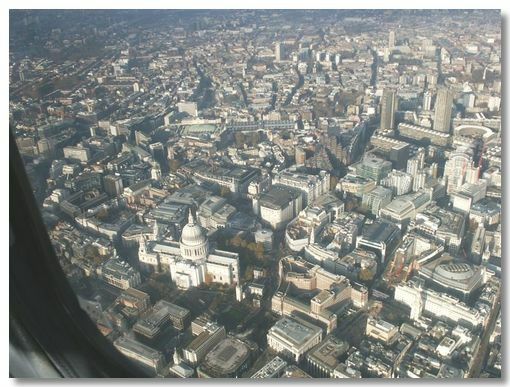 Most of central London was still in sunshine - just. 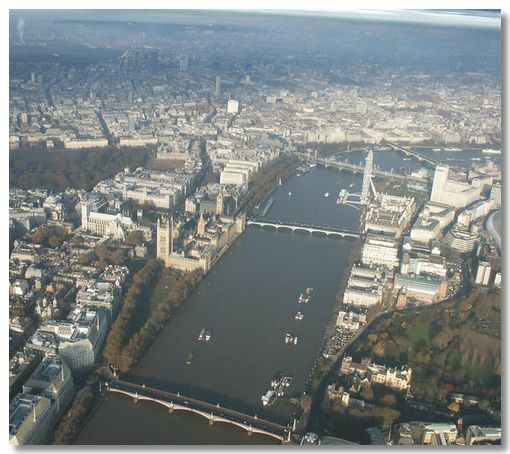 For security reasons our flight had to stick to just flying over the Thames. The Houses of Parliament are on the left and on the right is the London Eye, side-on. The Foreign Office and Treasury buildings are on the lower right. 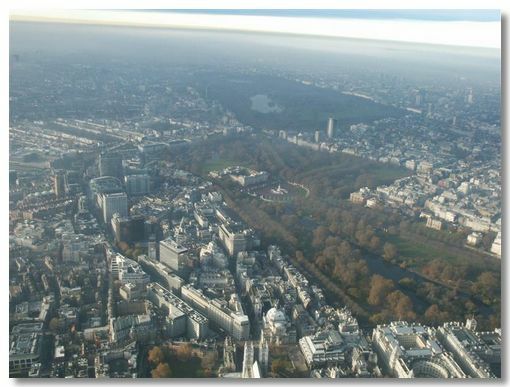 Beyond them is St James Park and at the top is Buckingham Palace. Lower left is Westminster Abbey. 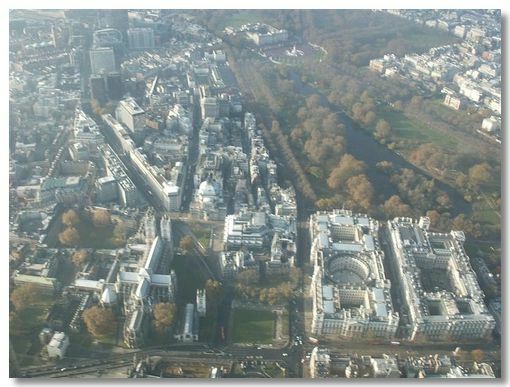 Buckingham Palace is in the centre with Hyde Park and the Serpentine beyond. 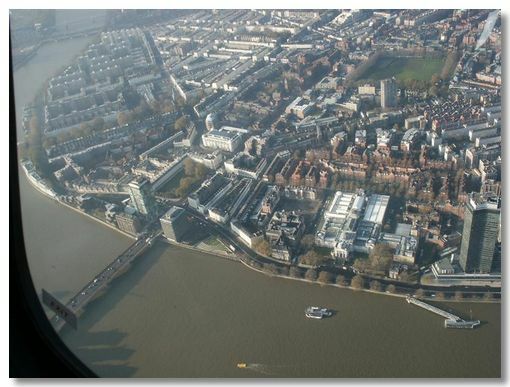 Tate Britain is the white building lower right with Vauxhall Bridge on the left. Tower Bridge is in front of us with the Docklands office blocks in the distance. 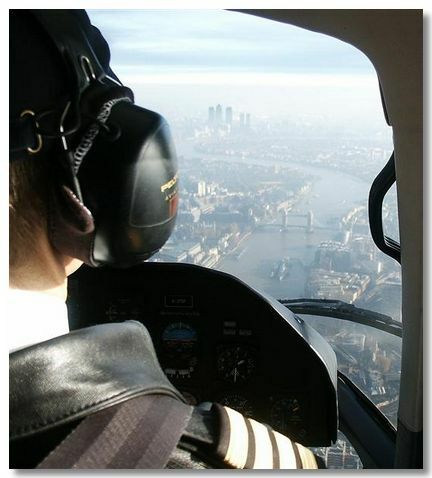 A great flight over London, made all the more dramatic by flying just under the awful smoke cloud.